Throughout May, I celebrated the 75th anniversary of Citizen Kane, which premiered on May 1, 1941, with a look at Orson Welles masterpiece and three other great movies that lost the best picture Academy Award to How Green Was My Valley. FYI: I covered Best Picture nominee Suspicion during my Hitchcock series in February. 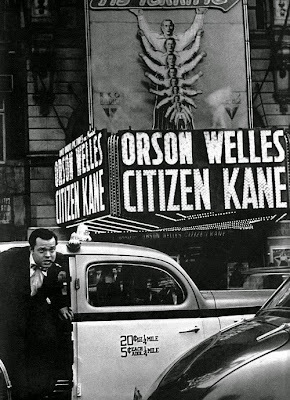 Citizen Kane: Welles' classic about the rise and fall of a newspaper magnate is and will always be the greatest American film ever made. The Maltese Falcon: Director John Huston's adaptation of Dashiell Hammett's private eye novel was one of the first major films noir. The Little Foxes: Director William Wyler's sharp adaptation of Lillian Hellman's play about a dysfunctional Southern family features a fearless performance from Bette Davis. Sergeant York: Gary Cooper won his first best actor Oscar for his earnest portrayal of a real-life Tennessee backswoodsman who became a World War I hero.